Why wait? 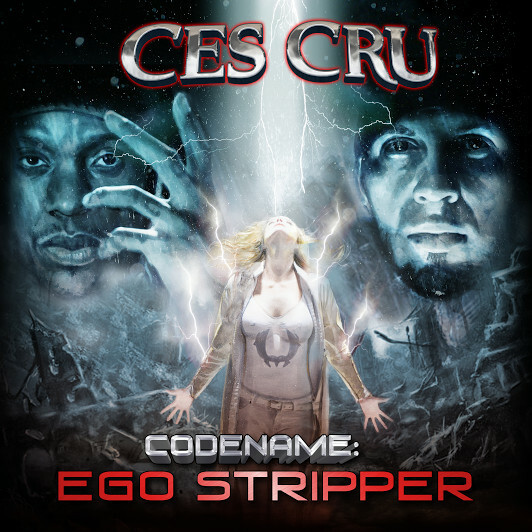 Pre-order CES Cru’s Codename: Ego Stripper on iTunes and get two songs from the album immediately! 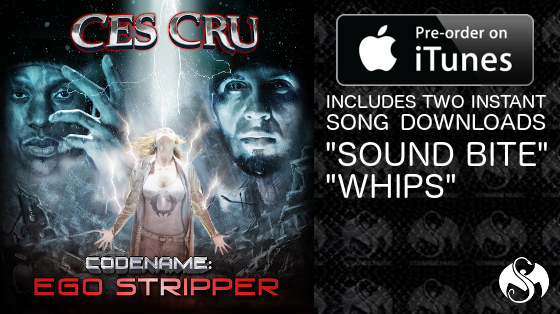 With your iTunes pre-order of Codename: Ego Stripper you will receive instant downloads of “Sound Bite” and “Whips”. “Sound Bite” is one of CES Cru’s finest examples of pure lyrical debauchery. Over a incredible, game-changing production by Leonard Dstroy, Ubiquitous and Godemis play hot potato on the track, effortlessly tossing the mic back and forth in a supreme display of flow and lyricism. “Whips” is CES Cru using a car chase as a metaphor for their place in the rap game. Long story short: catch them if you can.